Participants in the Governor General’s Youth Award have leapt out of their comfort zone having embarked on a 16-day, challenging adventurous journey to hilly Grenada, home to numerous nutmeg plantations from which the island derives its colorful nickname. 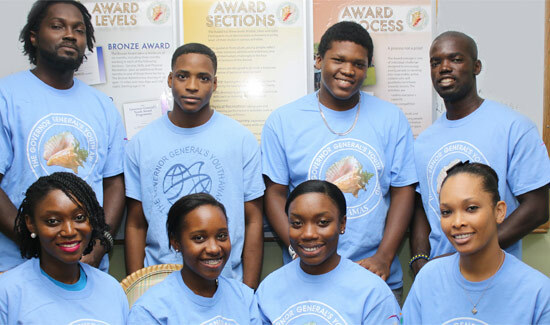 The 10-strong, hiking contingent is participating in the Caribbean Award Sub-Regional Council (CASC) 2015, an event which attracts throngs of regional youths active in the international Duke of Edinburgh’s Award program. The event runs from July 24 to August 9. Each year it’s held in a different Caribbean nation. Representing The Bahamas at the 35th annual event is four participants hoping to attain their Gold Award from the youth organization geared toward personal development for individuals 14 to 25-years-old. Four of the GGYA’s leaders-in-training are also making the trip along with two staff members. Leading the entourage is the program’s National Director Denise Mortimer and GGYA’s Chairman Jack Thompson. Both will attend CASC’s annual general meeting and opening ceremony. The event’s expedition component will not only test participants’ mettle but also provide them with an incredible experience within a safe and secure setting. It will see them hike for four days and three nights, an average of eight hours per day. First, the youths will undergo training and team building exercises before they embark on an expedition for which they have been training for months. For weeks, the participants have engaged in two-hour walking exercises to prepare them for this trip. Moreover, the 19-year-old marketing major gains additional strength and endurance training through his weekly soccer practice. “I think I can do it,” said Ferguson. Almost every hike she has ever went on, Queen’s College 2015 graduate Khes Adderley felt like she wanted to quit. “I’m sure I am going to ask myself ‘Why am I doing this yet again?’” said the 17-year-old. On a preparation scale of one to 10, fellow GGYA participant Cyerra Gibson hovers just above the middle. Heading to Grenada with an open frame of mind, 17-year-old Gibson feels she’s up to the challenge. A 2015 graduate of Aquinas College, Mackenzie Major agrees. The others making the trip include staff member Kevin Hall of Nassau and Clifton Francis from Freeport. The four leaders in training are North Andros High School’s Deon Williams; Jan Turnquest from R N Gomez in the Berry Islands; Aquinas unit leader Dwaynisha Henderson and College of The Bahamas unit leader, Sytia Bootle. During the trip they will undergo relevant, high quality training courses. Unit leaders are readily volunteering their spare time to help youths achieve their full potential. Ms Henderson believes there is a sense of camaraderie which not only connects participants to each other, but also links the leaders together. The Ministry of Youth, Sports & Culture helped to offset the cost of the trip through its G.O.L.D. initiative. The aim of the funding mechanism is to extend the reach of the program regardless of where one resides or one’s financial circumstance.